Atlanta INtown Paper is the BEST! Wow! 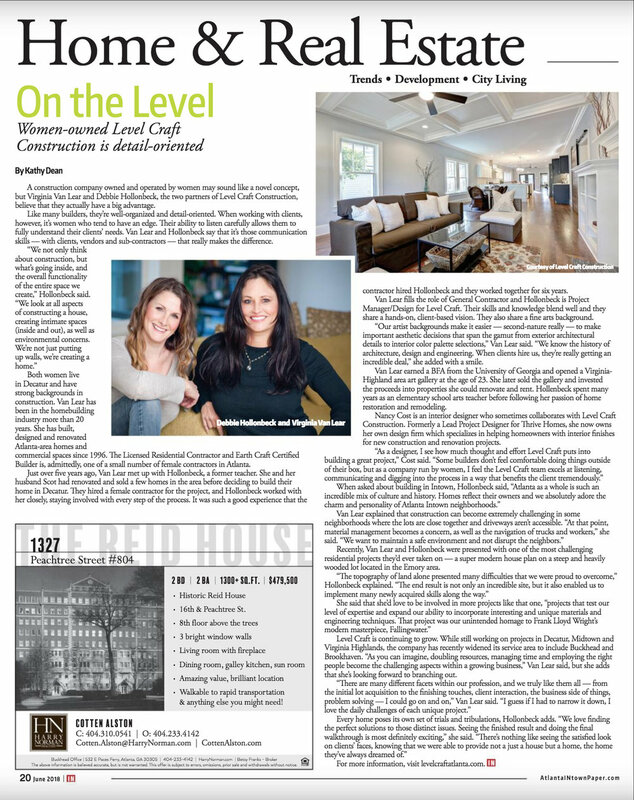 We are so excited to have a feature in the prestigious Atlanta INtown Paper! If you haven't picked up the June Issue, find one! It's an amazing read - chocked full of fun activities for summer and new restaurants to visit. We personally want to try Deep End in O4W, a restaurant by the same guys that created Pinewood. Looks yummy. Anyway, we digress. To read the digital edition online go HERE. You'll find the full article on page 20! What a great looking Content Page! Atlanta INtown has really become the "go to" for all things Atlanta. Thank you Kathy Dean and Collin Kelley for such a great article. We also need to give a shout out to Nancy Cost of Nancy Cost Design, she's amazing too! Who's ready to plan their dream home? Newer Post3107 Bay Street is on the Market!